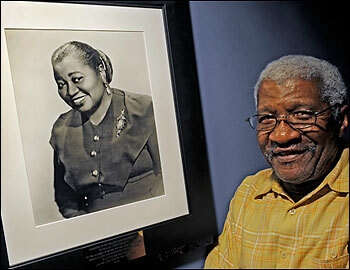 What happened to Hattie McDaniel's Oscar? McDaniel, who won Best Supporting Actress for her role as Mammy in "Gone With the Wind," bequeathed her award to Howard University, but the prize has not been seen in decades. After winning the 2010 Oscar for Best Supporting Actress, Mo'Nique noted that she was wearing a royal blue dress, along with a gardenia in her hair, because that's what Hattie McDaniel wore 70 years earlier, when she became the first African American to receive an Academy Award. "Ms. Hattie McDaniel, I feel you all over me, and it's about time that the world feels you all over them," said Mo'Nique, the Baltimore County actress and comedienne who is producing a film biography about McDaniel. It belongs to Howard University's theater department, which has spent years trying to figure out what happened to the Oscar that disappeared decades ago -- though nobody knows exactly when. "It's a never-ending mystery," says Tom Gregory, a Hollywood memorabilia collector. "Where is it? It's really an unbelievable story." McDaniel was named Best Supporting Actress in 1940 for playing the servant Mammy in "Gone With the Wind," a performance that earned praise even as McDaniel was criticized for perpetuating negative stereotypes. Charles "Buddy" Butler, a theater major who graduated from Howard in 1968, says he saw the plaque displayed in a glass-enclosed case in the Childers greenroom. The university's drama chairman at the time, Owen Dodson, "was so proud of having it at Howard," says Butler, who now teaches theater at San Jose State University in California. "Dodson talked about it as something we, as African American students, could aspire to."